Whether you’re planning a new build, a renovation, a lavish extension or a conversion there are simply hundreds of ways we can help you add finishing touches to your residential construction project. In this article we explore some of the luxury finishes that will create lasting value without breaking the bank. Of course, it’s the vision and show-piece features that draw the attention and create that initial impression. But, homes are made to be lived in rather than admired from afar, and the touches that make the real difference are the finer details, exquisitely executed. As attractive as modern stick down or click together vinyl floor finishes can be, there’s nothing that offers the unmistakeable feel of genuine luxury than a natural stone or hardwood floor. Solid wood flooring installed on one of our residential refurbishments in Surrey. Another way to stand out from the rest and create a more personalised living space is to shy away from using contract paint on the walls and opt instead for the rich finish and unique tones offered by designer paint. 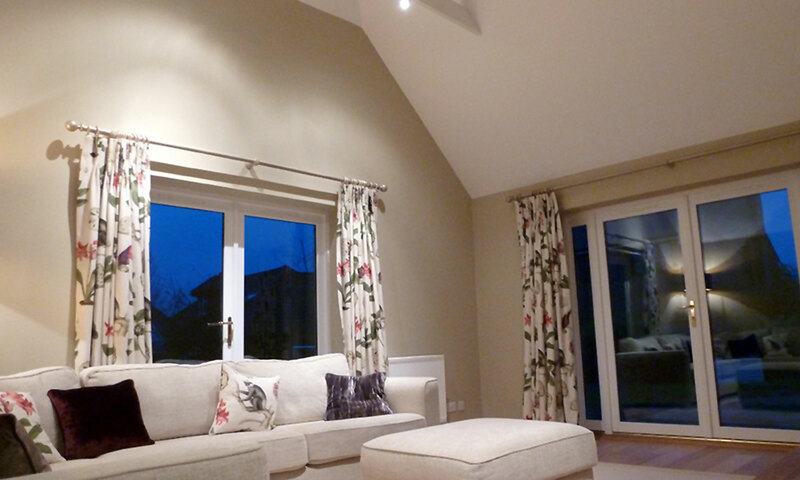 Farrow & Ball paint tones used in the lounge of one of our residential extensions in Hurtmore, Surrey. The quality of the tiles used in your bathroom can be just as impressive as opting for a designer bath, shower, basin and toilet. Complement your designer sanitaryware by investing in top quality tiles. 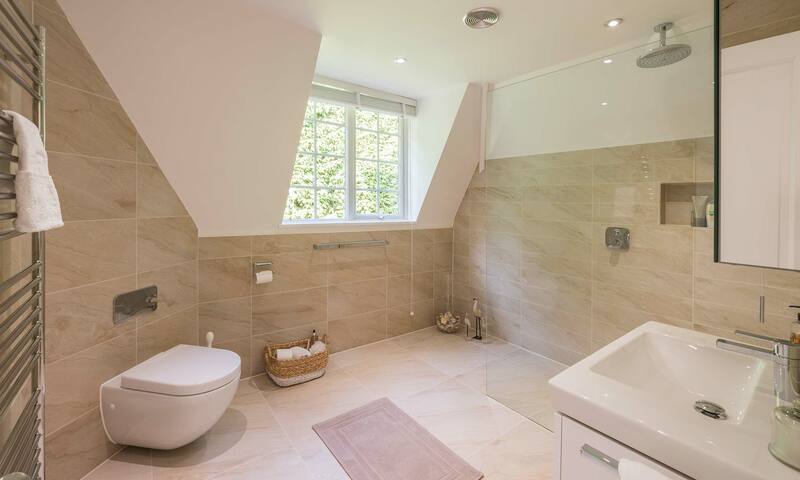 Villeroy & Boch porcelain tiling and designer sanitaryware in one of the bathrooms of an extensive refurbishment project that we carried out in Surrey. 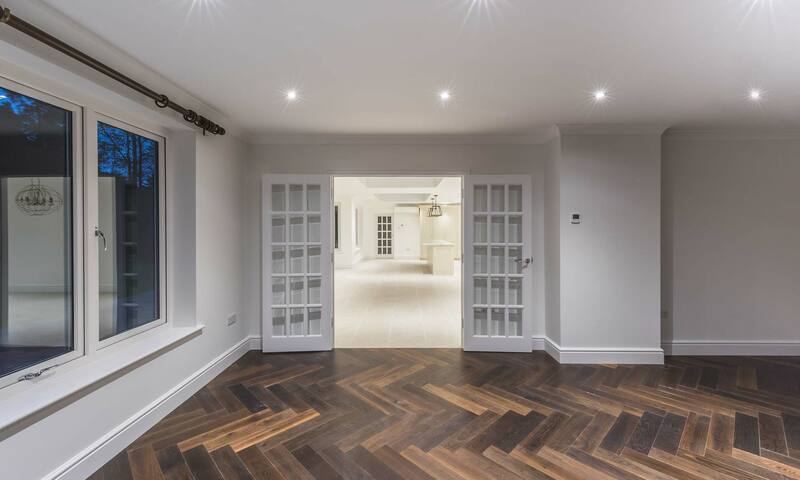 Finishing your rooms with high-quality joinery and ironmongery will create a stylish look that sets your project apart, whether it’s a uniquely crafted door, smooth-operating hinges and handles or intricate detailing on your skirtings and architraves. 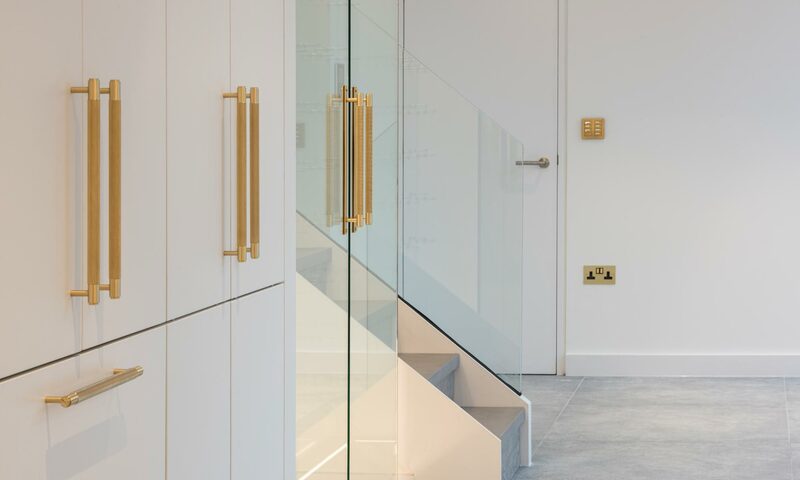 Contemporary joinery and bespoke ironmongery installed on one of our high-end residential projects. The finish can create a distinctive feel for your much-loved home or it can make sure that your new-build instantly stands out in the eyes of a potential purchaser. 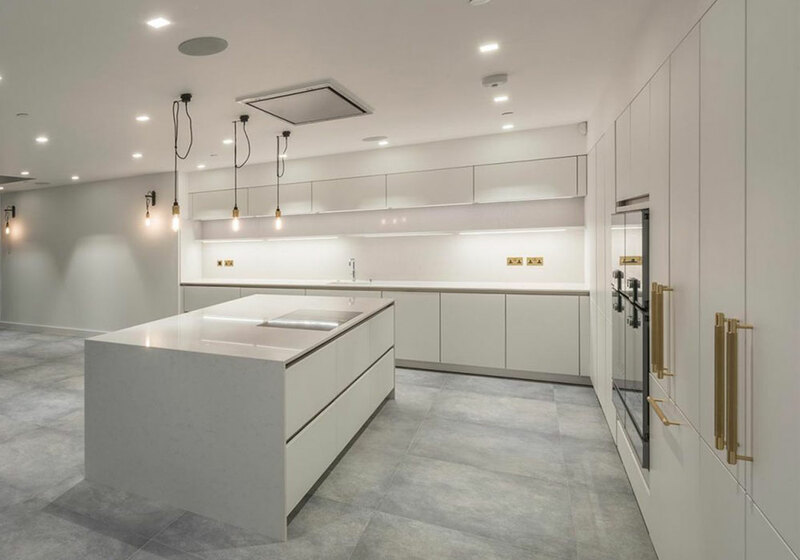 There are many ways to use luxury finishes as a way to set off your development and, with so many brands and suppliers to choose from, Cortec can help guide you to those that best match your aims, aesthetic and budget. It’s true that premium and bespoke finishes can come at a very high price. But, it’s equally true that there are many ways to create the look you are hoping to achieve without needing to compromise on your vision or break your budget. All of the examples above were created with one eye on style and the other on very closely managed budgets. Give us a call to discuss some of the ways that a quality finish can make all the difference in ensuring you gain a higher return on your residential development investment.